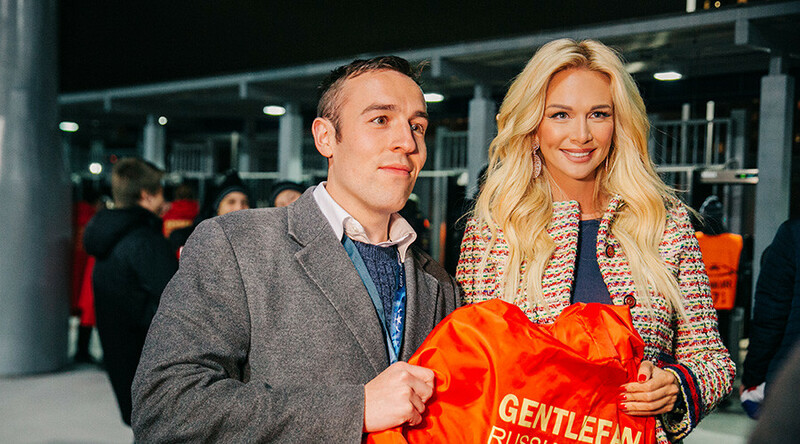 The FIFA World Cup Russia 2018 ambassador Victoria Lopyreva rekindled her friendship with Manchester United fans this week, taking part in the ongoing Gentlefan initiative before the English team’s Champions League game against CSKA Moscow on Wednesday. The initiative, which started this spring when Manchester United fans traveled to support their team in the Russian city of Rostov for a UEFA Europa League game, has become something of a tradition for the visits of foreign supporters to Russian cities. This week’s visit to Moscow by Manchester United and fellow English Premier league team Liverpool, to face Russian clubs CSKA and Spartak respectively, was no exception. 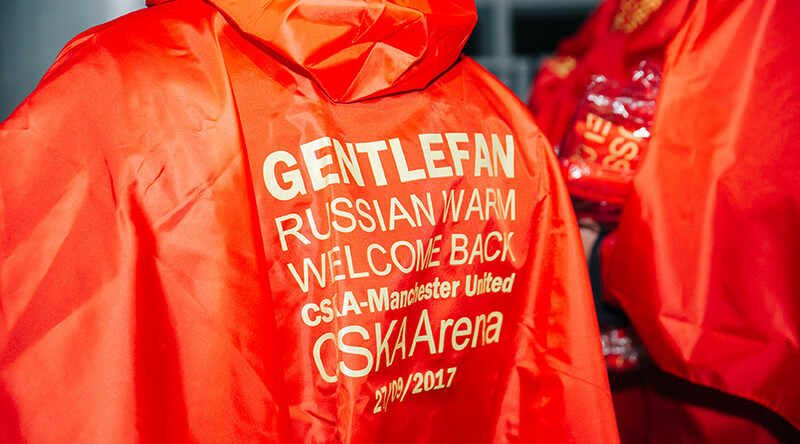 Supporters of both teams were met by Gentlefan volunteers, who handed them specially-designed T-shirts and raincoats, printed with the text: 'Gentlefan Russian Warm Welcome'. 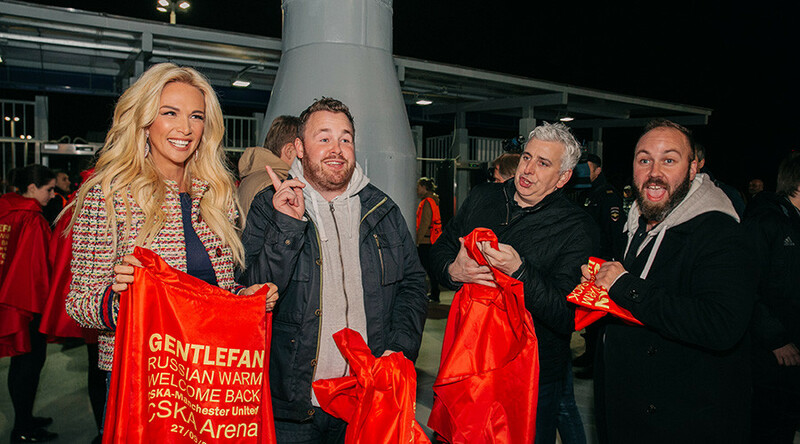 FIFA World Cup Russia 2018 ambassador Lopyreva was also among those to present Manchester United fans with the gifts. “I am convinced that each positive initiative will be met by people with reciprocity,” Lopyreva told journalists. For Lopyreva it was a second encounter with Manchester United fans in as many months, having traveled to watch United’s Premier League opening game against West Ham in August at the official invitation of the Manchester team. “It’s very nice and a very warm welcome,” one of the traveling fans told RT. Prior to Liverpool and Manchester United’s arrival in Russia, British tabloids the Daily Star and Mirror published stories headlined “Russian ‘Ultra’ football hooligans unleash fury in violent footage as Liverpool and Manchester United fans fly into Moscow” and “Russian hooligans unleash fury in shock vid amid Man Utd and Liverpool fans warning,” displaying footage of two groups of alleged football hooligans clashing in a wooded area. Spartak and Liverpool played out a 1-1 draw in their match, while Manchester United brushed aside CSKA 4-1 in their encounter.